The Super Heavy Duty Brown Tarps from TarpUSA™ are the most durable and strongest poly tarp available industry-wide. They are ideal for for truck covers, roof covers, canopy tops, shelters, backyard ice skating rink liners, hay stack covers, boat covers and landfill coverings. Designed for continuous indoor/outdoor usage, these super heavy-duty poly tarps are 16 mil thick laminated polyethylene and have a weight 8 ounce per square yard. They are made from High Density Fabric with a 16x16 weave count. Our super heavy duty dark brown tarps are waterproof, mildew resistant, tear resistant and acid resistant. They are even flexible in Arctic-like conditions. The super heavy-duty tarps are laminated with brown polyethylene on both sides to completely block sunlight. It is UV treated for extended protection. These super heavy duty tarps have folded edges that are double-stitched with cord reinforcement. They come with rustproof aluminum grommets installed about every 18 inches along each side and has reinforced corners for your convenience. Please note that the finished measured size is roughly 3% to 5% smaller than the quoted sizes below. For large quantities, custom-size super heavy duty tarps or bulk-shipping rates, please call us at (800) 352-6609. The high quality 4 foot by 20 foot brown tarp is in-stock and ships fast nationwide. These brown tarps are ideal for home repairs, construction projects and roof covers. The high quality 6 foot by 20 foot brown tarp is in-stock and ships fast nationwide. These brown tarps are ideal for home repairs, construction projects and roof covers. The high quality 8 foot by 10 foot brown tarp is in-stock and ships fast nationwide. These brown tarps are ideal for home repairs, construction projects and roof covers. The high quality 10 foot by 10 foot brown tarp is in-stock and ships fast nationwide. These brown tarps are ideal for home repairs, construction projects and roof covers. The high quality 10 foot by 12 foot brown tarp is in-stock and ships fast nationwide. 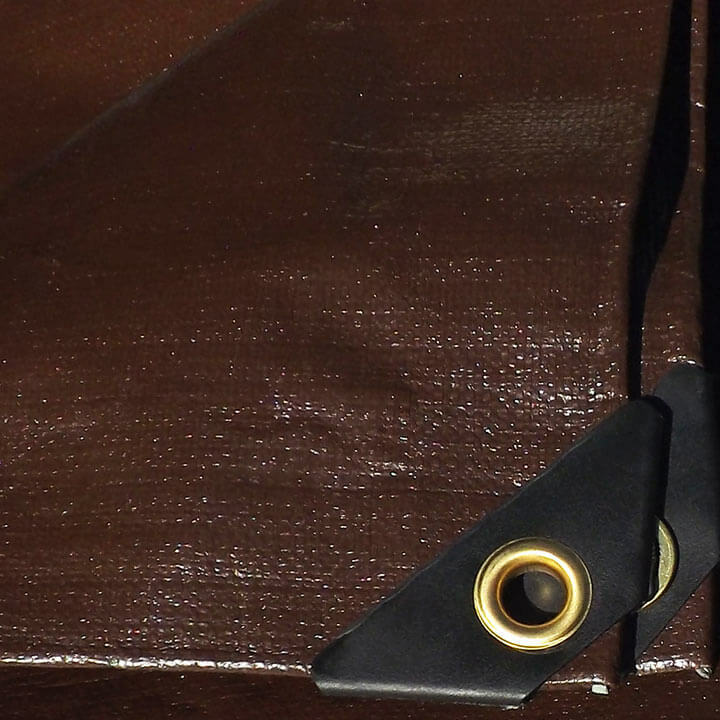 These brown tarps are ideal for home repairs, construction projects and roof covers. The high quality 15 foot by 15 foot brown tarp is in-stock and ships fast nationwide. These brown tarps are ideal for home repairs, construction projects and roof covers. The high quality 20 foot by 20 foot brown tarp is in-stock and ships fast nationwide. These brown tarps are ideal for home repairs, construction projects and roof covers. The high quality 20 foot by 30 foot brown tarp is in-stock and ships fast nationwide. These brown tarps are ideal for home repairs, construction projects and roof covers. The high quality 40 foot by 60 foot brown tarp is in-stock and ships fast nationwide. 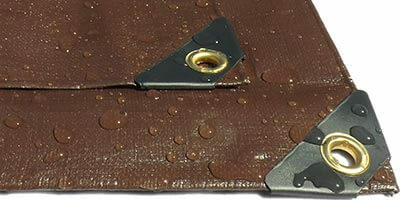 These brown tarps are ideal for home repairs, construction projects and roof covers.